When school holidays are approaching, it’s good to have some ideas about ways you can keep the kids entertained. Even if your child will be attending holiday care programs for the whole holidays or part of them, chances are you’ll still have at least a day or two of activities to come up with. Even if it’s warming up outside, it’s still the perfect time to have a pyjama day at home. Cook some popcorn, pick out your favourite movies, and settle in for a nice relaxing day. This is a great way to unwind after a long school term, not to mention great for spending some quality time together as a family. Just because school’s out it doesn’t mean you can’t socialise. The best free activity you can organise this school holidays is a simple play in the park with friends. Ask along your child’s classmates and have a picnic lunch or early dinner together. You’ll be keeping active, enjoying the outdoors and being social too. Check your local shopping centres to see if they are offering any school holiday activities. Often, you’ll be able to find art activities, shows or performances there that are all provided for free. It’s good to keep active during the school holidays. 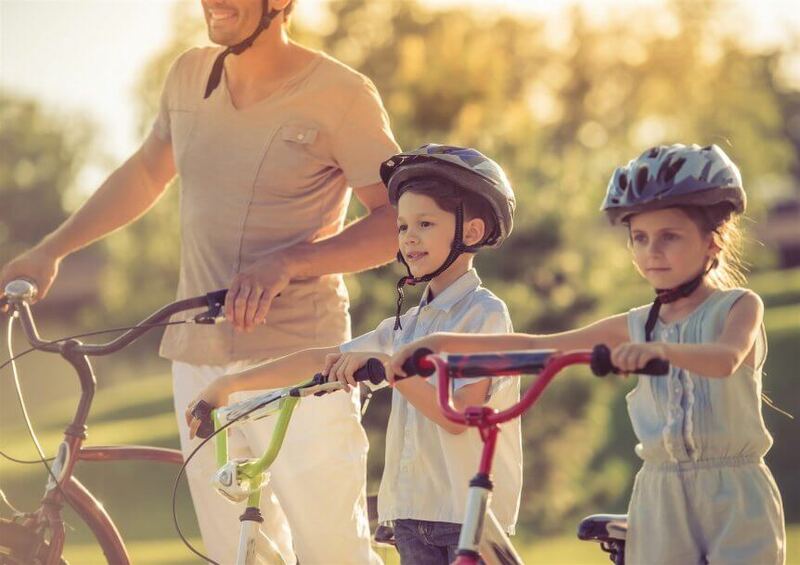 Dust off your bike and join the kids for a leisurely ride around your town. If you’re looking for a change of scenery, why not put the bikes in the car and drive to somewhere new. You can explore your surroundings while cycling around. Reduce screen time and teach some important life skills by playing board games. It’s fun for kids and adults alike, and you can make a real competition out of it too. Teach the kids some card games, play some of their favourite board games, or even borrow games from friends. It’s sure to be a fun day. Your local library is full of fun things to do that cost nothing. Borrow books, DVDs or CDs to entertain the kids during the school break. There’s sometimes special activities or events on at libraries during the school holidays too, so make sure you check what’s on at your local library. Explore the areas around your house and enjoy the health benefits of walking in nature. You could create a bingo game, play eye-spy or try to identify plant and bird species as you wander around. There’s plenty of free websites and apps to keep you entertained and outdoors these school holidays. Why not try geocaching? Download the app and it will lead you to containers of various sizes containing a log and sometimes small treasures too. Explore your local area and see what you can discover. Whether you need to fill in two weeks or just a couple of days of the school holidays, you can have a lot of fun without having to spend any money at all. Try some of these ideas and see how much fun you have together.